This Valentine’s Day we got a unique cake request from an Army soldier who is currently overseas. 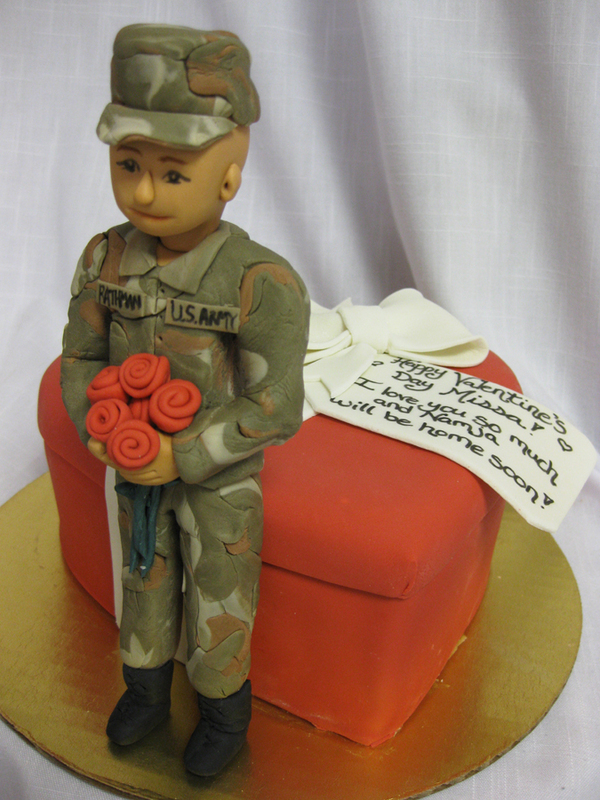 He is currently deployed in Afghanistan and wanted to send his wife a cake with a figurine of himself holding a bouquet of roses delivered to her on Valentine’s Day. We delivered to cake to the unsuspecting wife who, we later found out, loved her over-seas Valentine. We were honored to make and deliver this special cake. I think this is the most coolest, loving thing. How unique. You all did an amazing job!